When it comes to processing mineral ores, there is no ‘one size fits all’ approach. Yet since the earliest days of extracting lithium from silicates, there has been little in terms of improvements in the extraction process of the mineral. For decades lithium minerals, primarily spodumene, have been roasted and leached, without an alternative method being proposed. 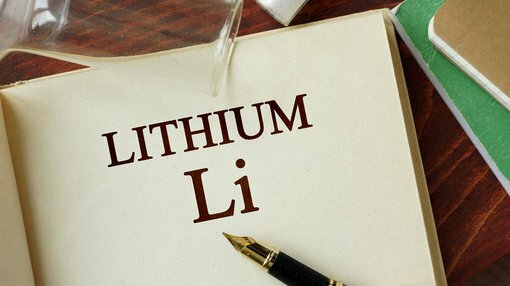 Lithium Australia (ASX:LIT) is attempting to reverse the trend by developing two technologies which could change extraction methods. Both technologies have have successfully eliminated roasting as a process step. Seeing the value in this change is the Australian government, which has awarded LIT a second Federal Innovations Connections grant under its Entrepreneur’s programme. They join the state government which has provided a research grant through the Minerals Research Institute of Western Australia. The most recent grant of $50,000 will be used towards testing LIT’s extraction technology. Much like the electric car set to supersede petrol run vehicles, LIT’s chemical-processing technologies may soon replace the outdated roast and leach method used in the lithium industry for decades. This is no guarantee to occur, however, so if considering LIT for your portfolio seek professional financial advice for further information. The two processing foundations used in LIT’s technology are: halogens and hydroxides. Why two types of technology and not one? By having two types of ore processing technology, LIT is able to extract ore and tailor the optimum-processing outcome as various ore types respond differently to the two treatment methods. The 100% LIT owned Sileach and Liena technologies provide project specific advantages over conventional processing means, including environmental impacts. Both technologies are capable of treating all lithium silicates, including the treatment of spodumene, which is the most widely produced lithium mineral. In mining the size and quality of an ore body is a main driving factor in commercial success, but it is not the only one. Political support, infrastructure, logistics, reagent availability, power costs and the way power is delivered are but a few factors which companies need to consider. LIT’s technology is able to address some of these as listed above. By potentially possessing two lithium processing technologies, LIT will tightly hold the lithium processing space, delivering what results have shown to be the most extensively evaluated and successful processing outcome. The first process run for Sileach is imminent at the ANSTO Minerals’ (a division of the Australian Nuclear Science and Technology Organisation) pilot plant and has been wet commissioned. The testing will be carried out using Western Australian concentrates from Lepidolite Hill (trilihionite) and Pilbara Resource’s Pilgangoora (spodumene) deposits. Whilst Sileach will be targeted for Australian applications, Linea provides distinct advantages in certain locations such as Canada, Western Europe and Scandinavia where low-cost grid power is available. Bench-scale testing of the Liena technology continues to impress with promising results. LIT’s strategy is to establish global processing hubs, with the first Sileach processing hub to be established in Western Australia should testing of Pilbara Minerals’ spodumene concentrates be successful. Each hub will use the processing technology best suited for the ore types found in that specific location. The two processing technologies could enable LIT to deliver strong extraction solutions when required.